FDA Says Cigarettes Can't Be Marketed As 'Natural' : Shots - Health News Unless a cigarette is safer than others, it can't be labeled "natural" or "additive-free," the Food and Drug Administration told three manufacturers. American Spirit is one of three brands that have gained unwanted attention from the FDA for marketing cigarettes as "natural" or "additive-free." The Food and Drug Administration on Thursday ordered three tobacco companies to stop claiming their cigarettes are "additive-free" or "natural." The agency said those claims could mislead smokers into thinking those cigarettes are safer than others. The move marks the first time the FDA has taken this kind of step since it got expanded powers to regulate tobacco products in 2009. That included the authority to require that any claims suggesting a product is safer than regular cigarettes must be proven to be true. "The FDA's job is to ensure tobacco products are not marketed in a way that leads consumers to believe cigarettes with descriptors like 'additive-free' and 'natural' pose fewer health risks than other cigarettes, unless the claims have been scientifically supported," said Mitch Zeller, director of the FDA's Center for Tobacco Products, in a written statement. "This action is a milestone, and a reminder of how we use the tools of science-based regulation to protect the U.S. public from the harmful effects of tobacco use." 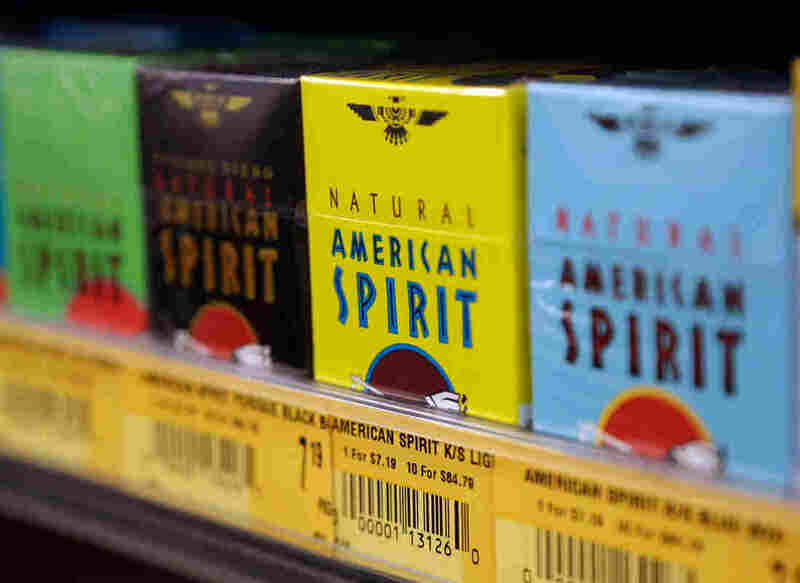 The letters were sent to ITG Brands LLC, which sells Winston cigarettes, Santa Fe Natural Tobacco Co. Inc., which sells the American Spirit brand, and Sherman's 1400 Broadway N.Y.C. Ltd, which markets Nat Sherman cigarettes. The agency gave the companies 15 days to respond.